We used important lessons learned in the windtunnel and applied them to the Pro Aero Extreme. 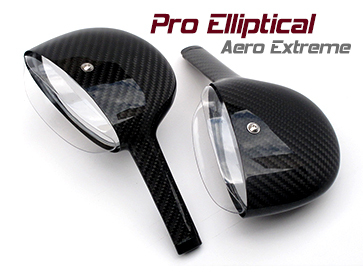 Simply said, our Pro Aero Extreme mirrors offer you world-best aerodynamic efficiency. 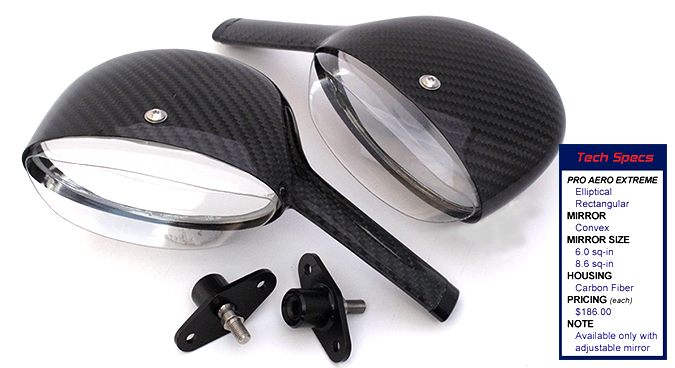 A pair of these mirrors equates to a distinct performance advantage for the driver looking for every fraction of a second. 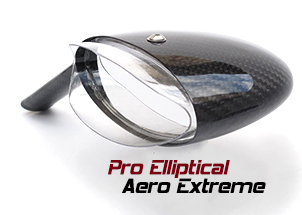 You can see how the Aero Extreme extension retains laminar airflow and greatly reduce turbulence. The cleaner airflow produces a lot less drag by as much as 55% compared with other competition mirrors. Improving aerodynamics will improve your lap times. The convex mirror widens your field of view with zero optical distortion. 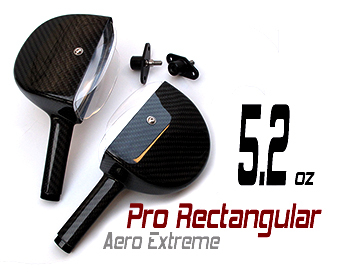 Pro Aero Extreme is a no-compromise racing mirror and is available with your choice of elliptical or rectangular.